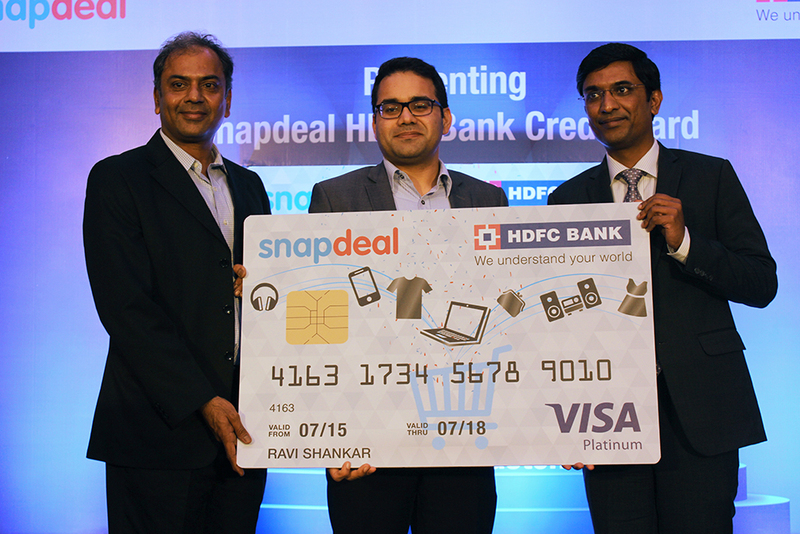 Jasper Infotech, owner of online marketplace Snapdeal has announced the launch of co-branded ecommerce credit card jointly with the private sector bank, HDFC Bank in partnership with VISA. It was reported earlier that Snapdeal is planning to launch one of its kind initiatives to clutch significant portion of annual gross merchandise sales generated from Tier III and IV towns. With this, Snapdeal’s customers from small cities and towns will be able to make online payments instead of availing the cash on delivery option. It is to be noted that 70% Snapdeal’s customers hail from tier III and IV cities. Kunal Bahl, who started the company in 2010 along with Rohit Bansal, said that the customer is at the centre of the ecosystem and this new initiative is aligned in the direction to benefit them. The co-branded credit card can be availed from Snapdeal’s website, mobile site or mobile App by checking applicant’s credit eligibility instantly. The card is available for non bank customers as well. Snapdeal has expanded to become one of the fastest growing online marketplace in India offering an assortment of more than 1 Mn products across diverse categories from over 100,000 sellers. The move is aimed to tap the increasing user base for ecommerce platforms with rising competition from companies like Paytm, Flipkart and Amazon. Recently, ecommerce behemoth, Amazon had partnered with SBI to facilitate frictionless payments and commerce solutions for customers and small businesses.